Even though scholars and activists did not begin identifying environmental racism until the 1980s, Spears reveals how the unequal allocation of environmental hazards extends across space and time. In the first four chapters, Spears explains how Anniston became a model city of the New South and home to the chemical industry, which developed close ties to the US military during the two world wars. In doing so, she unpacks the problematic relationship between the former by explaining how a lack of regulatory oversight led to the tragic contamination of human bodies and ecosystems. As the Cold War escalated, so too did the military’s involvement with chemical development and production, which found a new home at Anniston’s Fort McClellan in the 1960s, “the free world’s largest training center for chemical, biological, and radiological warfare” (p. 94). By placing the modern environmental justice movement within this historical context, Spears is able to show the ways in which privileged toxic knowledge developed among corporations and created hazardous landscapes in Anniston that reflected the legacy of social and environmental disparities in the United States. But Anniston’s residents were not passive victims. 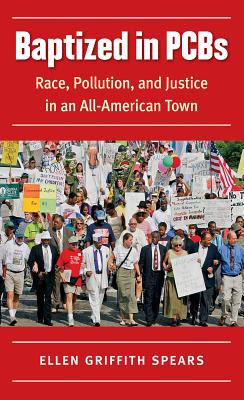 In chapter 5, Spears explores the tradition of nonviolent protest in the city to demonstrate that residents owed much to the civil rights movement, which shaped contemporary environmental justice campaigns by linking social justice to environmental issues. Prior to the campaign to hold Monsanto accountable for PCB contamination and the initiative for safe disposal of chemical weapons, Anniston attracted national attention with the burning of the Freedom Riders bus on Mother’s Day in 1961. White and black residents were versed in the language and experience of protest—be it in support of equality or not. Thus the Anniston campaigns also revealed important challenges created by racial and class differences: white middle-class and professional people dominated the anti-incinerator fight whereas the African American community spearheaded the PCB initiative, largely as a result of residential geography. When activists in both efforts joined forces, they did so uneasily. For instance, Spears reveals that the Monsanto campaign linked whites whose relatives and friends had been mid-century instigators of racial violence with residents of color who had sometimes been the targets of that violence. Despite these conflicts, legal victory over Monsanto and the emergence of a national campaign that forced the army to both provide residents with protective equipment and operate with greater transparency revealed the the power of grassroots activism. In the remaining chapters, Spears explores the rise of PCB as the world’s most notorious chemical and the factors that drove chemical policy reform in the early 1970s, most important, the passage of the Toxic Substances Control Act, which led to the end of PCB production. But as Spears reveals, the aftermath of those reform efforts bred citizen action. In Anniston, Monsanto began burying its chemical wastes and the army announced plans to build a hazardous waste incinerator to dismantle outdated Cold War-era chemical weapons at the Anniston Army Depot. In the late 1980s people locally began to question those practices. Thus, a grassroots, cross-class, and ultimately biracial and bipartisan movement emerged to challenge environmental injustice—activists used coffins to block Monsanto’s bulldozers, staged die-ins, filed lawsuits, and donned hazmat suits at rallies. In her final chapter and epilogue, Spears offers an assessment of their achievements.